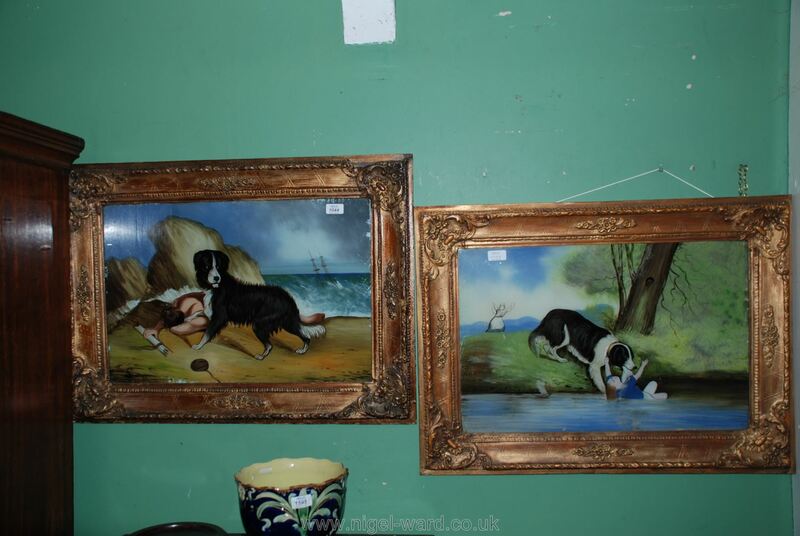 A pair of Victorian folk art naive paintings on glass of a dog rescuing a child and shipwrecked mariner. Original gilt frames 31"x 23". Lot 1045 A large Ordnance Survey map of Glos/Hereford on linen.